What makes an angel food cake an angel food cake is the eggs. 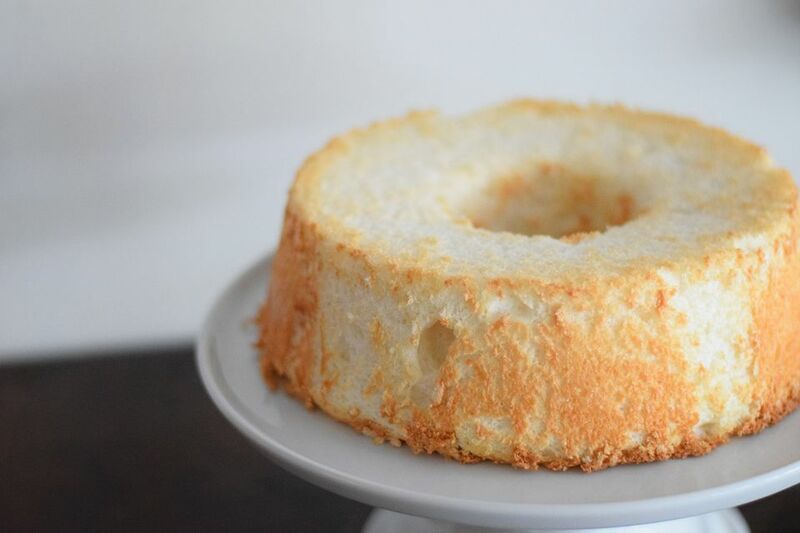 There are one dozen egg whites in this recipe for Angel Food Cake. 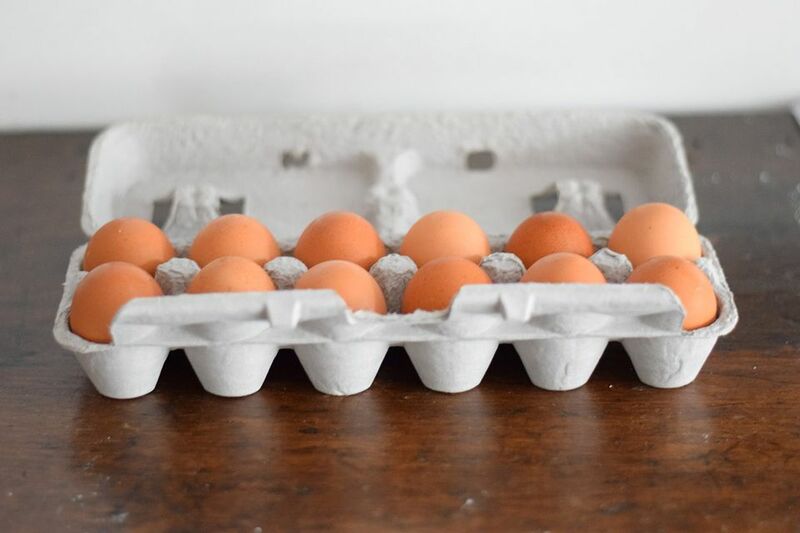 Before separating those eggs, make sure they are room temperature. Separate the eggs into two different bowls. The whites in one bowl and the yolks in another. Once the eggs are separated, preheat the oven to 350 degrees F.
With a spoon or a wire whisk, fluff the cake flour before mixing with the other ingredients! In a small bowl whisk together flour and 1/2 cup sugar. Set aside. Beat eggs until foamy. Once foamy, add cream of tartar and salt. Once egg mixture forms soft peaks, gradually add remaining sugar while mixing. Continue mixing until firm peaks form. Sprinkle the flour mixture over the egg mixture in a figure eight motion with a rubber spatula, fold in the flour, trying not to over mix. Carefully, spoon the batter into an ungreased angel food cake pan. Bake for 40 to 45 minutes or until top is lightly browned. After removing the baked Angel Food Cake from the oven, invert it to cool. If the angel food cake pan doesn't have legs, invert pan over the top of a narrow-necked glass bottle. Cool completely before removing it from the pan. To loosen the cake from the pan run a knife around the edges of the cake. Serve the cake plain or top it with a homemade lemon curd made with some of those leftover egg yolks.